Make A Play aims to transform youth and their communities in the Capital District (Albany) New York, by providing comprehensive academic and athletic programs to better their personal, academic and professional goals. As students move from dependence, independence to interdependence MAP meets students where they are and prepares them to be leaders, and active participants in a democratic society: when you learn to play, you learn to live. 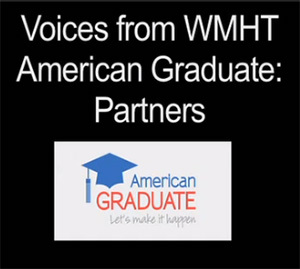 Hear from WMHT American Graduate partners to discover why they are involved in the project.